Tony Berlant is a consultant, a published researcher, an author coach, and a veteran of the health and fitness industry with more than 20 years of leadership experience. He earned his Bachelor of Arts degree from University of California, Los Angeles (UCLA) in Psychology, and his Master of Science degree in Exercise and Movement Science (focusing on Exercise and Sport Psychology) from University of Oregon. He has served as a certified personal trainer (NASM-CPT), a multi-club regional fitness manager, and a corporate-level Director for some of the most well-known companies in the industry. His former employers include the Los Angeles-based health and fitness club companies of The Sports Club Company (which did business as The Sports Club/LA, and was eventually acquired by Equinox), Spectrum Clubs (which was acquired by Bay Clubs), YogaWorks, Inc., YogaFit Trainings Systems Worldwide, Inc., and Mad Dogg Athletics, Inc. As Director of Education for The Sports Club/LA, he was responsible for the education and training of hundreds of health club personnel across ten clubs nationally, ranging from personal trainers, to large- and small group exercise class leaders, to membership sales personnel. Seeking an alternative perspective within the fitness industry, but still focusing on education, Tony worked specifically inside the yoga industry for four years. He served as an education coordinator for YogaWorks, Inc., and while employed with YogaFit, he managed general operations, overseeing retail and wholesale sales, warehouse operations, and more. For almost six years, Tony served as a Director of Programs for Mad Dogg Athletics, Inc. the creator of the Spinning® indoor cycling program, and owner of Peak Pilates®, Resist-a-Ball®, Crosscore®, Ugi® and other equipment-based, education programs. He was responsible for more than 3500 officially licensed Spinning facilities and Peak Pilates Education Centers, trademark compliance, and the education coordination teams that delivered the many thousands of certifications, teacher trainings, and continued education workshops taking place each year. 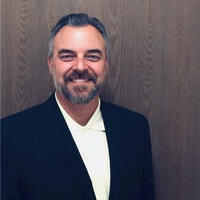 His expertise further extends to strategic partnership development, licensing and trademark compliance, member rewards programs, and event production. Tony currently resides in Hermosa Beach, CA.